Often seen as the world leader in so many ways, America’s experiment of Prohibition (January 20, 1920 to December 5, 1933) continues to simultaneously fascinate and confound people. With very few people around today who actually had a direct tie to this dry time, the era recedes into history. Brew Year’s Eve (April 7) celebrates the modification of the Volstead Act which raised the legal alcohol percentage of beverages from 0.5 percent to 3.2 percent, allowing some beers to be legal once again on April 7, 1933. This Brew Year’s Eve, we invite you to raise a glass of whatever elixir you choose, thank your lucky stars for safe and legal alcohol, and toast our hard working American craft brewers. Prohibition didn’t outlaw drinking. The Volstead Act leading to the 18th Amendment made production, transport and sale of alcohol illegal. With tons of loopholes and the Act itself bearing few legal teeth, lots of people found ways to legally procure, make and enjoy alcohol. Prohibition fostered great gender equilibrium. Prior to the illegality of drinking in public spaces, women were not welcome at bars and public houses. During Prohibition, both women and men flocked to speakeasies and gin joints. 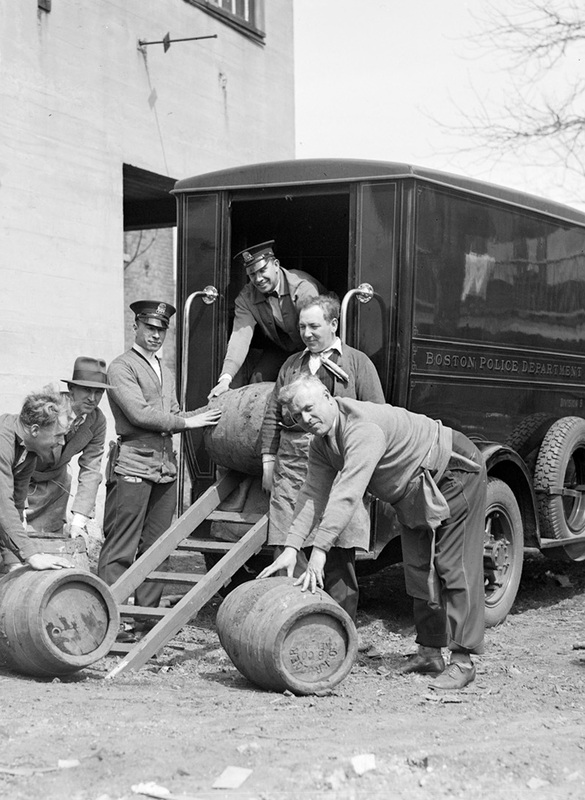 The Federal government was extremely ill prepared for Prohibition. “The federal Prohibition Bureau never had more than 3,000 agents…” according to the Gilder Lehrman Institute of American History. When you do the math of the civilian population compared to law enforcement, one sees quickly they were woefully understaffed for the tsunami of change. The real Captain Bill McCoy was a rumrunner with integrity. McCoy didn’t alter the alcohols he sold—meaning that he left them full strength instead of watering them down as many bootleggers practiced. Authenticity of the beverages he smuggled and sold lead to the development of the saying “the real McCoy.”* It meant the alcohol you bought was true and authentic, not diluted, as Mr. McCoy practiced. M. Louise Gross was an influential person during this part of our nation’s history and started the Molly Pitcher Club. The Molly Pitcher Club worked towards repeal, despite the popular stereotype that all women were for Prohibition. The club argued that the government should not get involved with a personal and private choice. Ever heard of the WONPR? Probably not. But the Women’s Organization for National Prohibition Reform out-membered the Women’s Christian Temperance Union (WCTU) by a landslide. Pauline Morton Sabin started the organization in 1929 and it was by far the largest anti-Prohibition organization in the country. Neal Dow, Mayor of Portland, Maine, lead the charge for Maine to adopt statewide prohibition in 1851, 69 years before the 18th Amendment. Ironically enough, “the sublime fanatic” Mr. Dow was later prosecuted for violation of Maine Law for improperly acquiring alcohol, effectively leading to a decline of acceptance of prohibition. American businessman Henry Ford had a novel suggestion: place enforcement “in the hands of the Army and Navy.” While the idea clearly didn’t take hold, the recommendation was an interesting one for the government to consider. “Blind Pig” or “Blind Tiger” was a term used for dive bars, a step down from speakeasies, where patrons could pay to see an attraction, like an animal (either real or painted to look more exotic), and receive a complimentary drink with admission. Eliot Ness, leader of the famous Chicago crime fighters known as the Untouchables, was only 25 when he was assigned to the battle against bootlegging. Following Repeal, Ness went on to help Cleveland, Ohio, deal with elevated crime and corruption and improve the city’s traffic court system. Even today “there are hundreds of dry counties across the United States with 16,000,000 people seven decades after national repeal,” according to sociologist David J. Hanson. That’s a rather astonishing statistic considering that Americans voted overwhelmingly to end Prohibition in a popular vote, with 74 percent in favor and only 26 percent opposed. By a 3-to-1 ratio, the American people rejected Prohibition. *Although the phrase “the real McCoy” was in English already, the term became associated with McCoy’s illicit but authentic alcohol and spread in popularity. Photo Courtesy of the Boston Public Library, Leslie Jones Collection via Creative Commons Attribution 2.0 Generic license. Ginger Johnson is a loud laugher and energetic beer enthusiast. 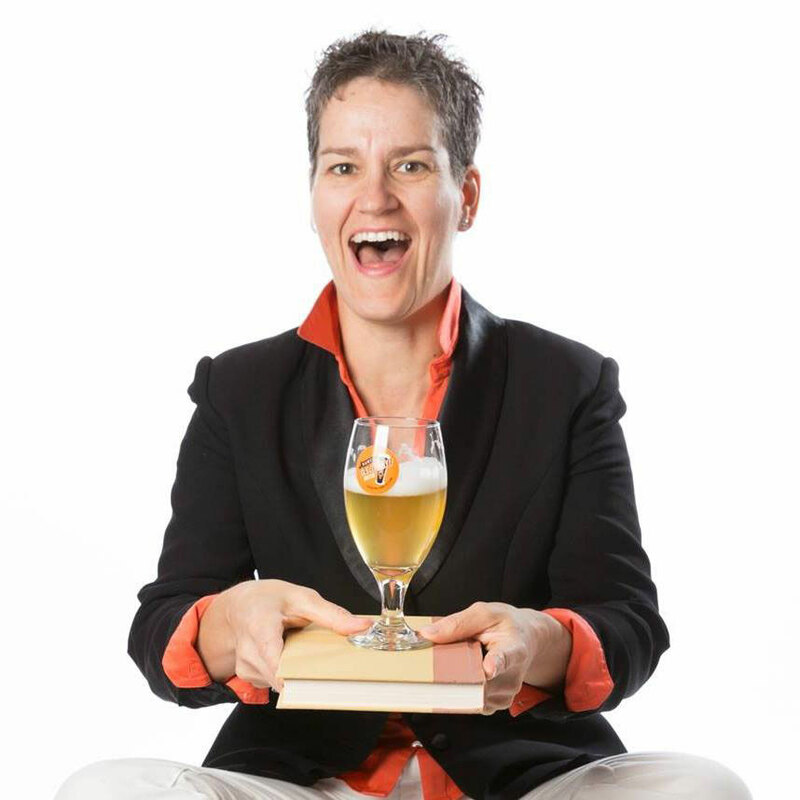 She started Women Enjoying Beer to educate and share the great experience of craft beer with women and men everywhere. She works with consumers directly to find out what women want from their beer and beer businesses to market craft beer to women. She is also the author of How To Market Beer To Women: Don’t Sell Me A Pink Hammer.